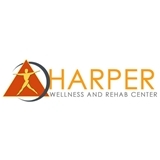 Harper Wellness and Rehab Center (Houston) - Book Appointment Online! As Team Chiropractor to the Houston Texans and Houston Astros, Harper Wellness and Rehab Center is a full-service multidisciplinary facility offering the most advanced techniques in the industry. We pride ourselves on excellent customer service, short wait times, and quality chiropractic care. Harper Wellness treats a wide range of issues including neck pain, back pain, numbness, sciatica, sports and repetitive motion injuries, and much more. Located near the Galleria in Houston, Texas, our staff includes a team of chiropractors, physical rehab specialists, and a medical physician. Dr. Harper was very thorough in his evaluation and did a great job answering all of my questions.